If you love fancy unique beads then this crystal bead is for you. 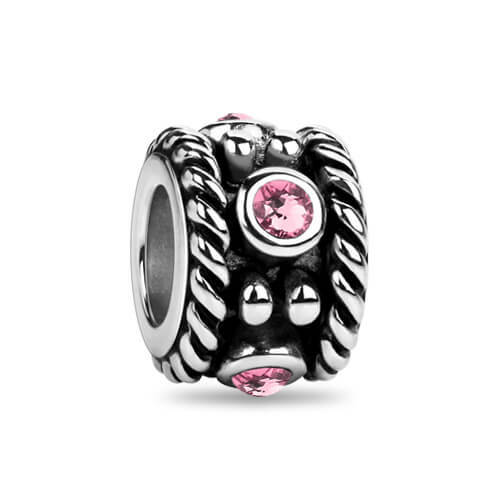 This fancy crystal bead made of 925 sterling silver core and accented with pink crystals. Add elegance and color to your bracelet or necklace with this stunning charm. This fancy crystal bead is the perfect accent for your any bracelet. If you need a simple and beautiful gift then this pink crystal bead is exactly what you have been looking for. Do not miss out on this bead and order yours today.